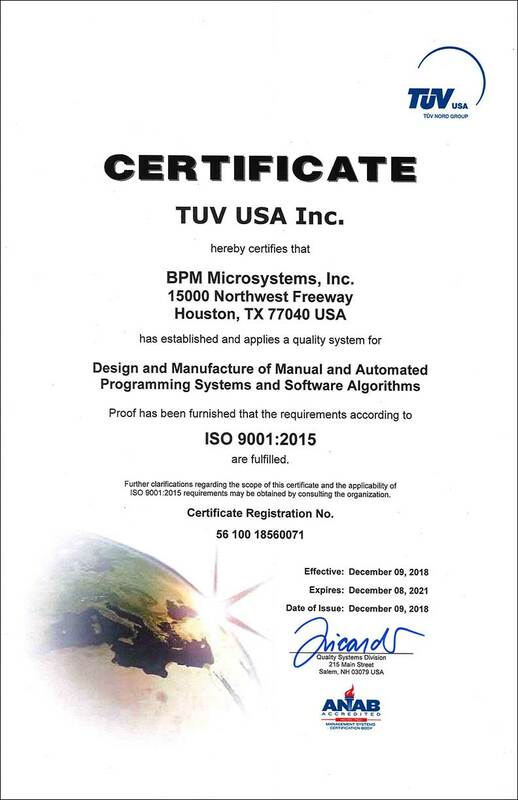 BPM is dedicated to delivering the utmost programming quality with high yield, excellent system uptime, and performance. On-time delivery and stringent conformance to industry specifications and safety standards are paramount. We strive for operational excellence, to be the most trusted supplier to customers where failure is not an option. We are committed to continuous improvement of our Quality Management Systems to achieve these goals.